solution of linear differential equations using Laplace Transforms. • solve differential equations of electrical circuits, forced oscillation of mass spring and elementary heat transfer. inertia of plane and solid region. • Use curl and divergence of a vector valued functions in various applications of electricity, magnetism and fluid flows. • The question paper will have ten questions. • There will be 2 full questions(with a maximum of four sub questions) from each module. • Each full question will have sub questions covering all the topics under a module. 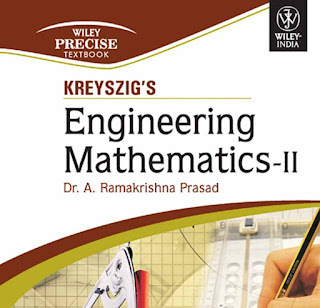 • B. S. Grewal," Higher Engineering Mathematics", Khanna publishers, 42nd edition, 2013.